Kay goes to the 2014 Potomac & wins some very nice placements! 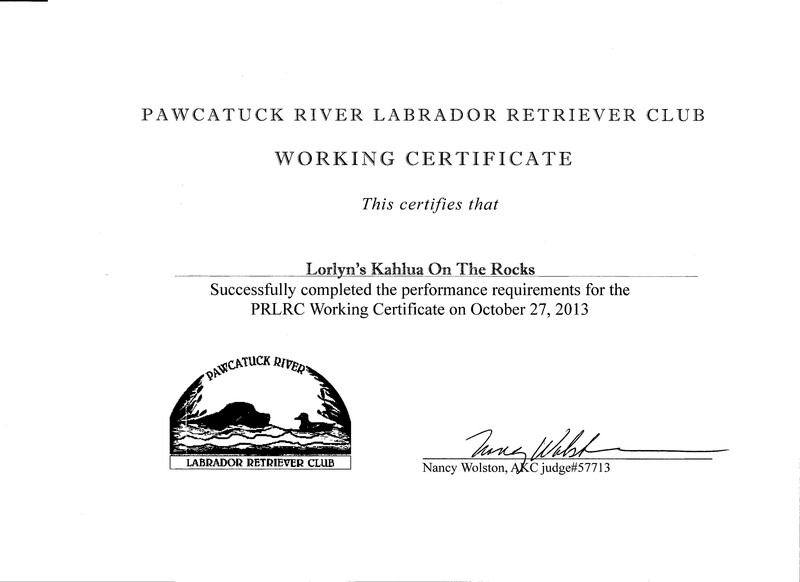 Kay passed her Working Certificate on 10/27/13. I found out that she really loves to retrieve ducks... She ran around the whole pond, not dropping it, visited everyone in the crowd first, then brought it to me !!! She's a funny girl! 3 MONTHS OLD & LOVES TO RETRIEVE!